The Jaguar line is full of icons and classics, but even among giants, the Jaguar XJ stands out. It takes the luxury and sophistication the brand is known for and wraps it in its own unique style, as well as some truly commanding performance that takes it above and beyond the typical sports car fare. And when you combine that performance with the sort of traction and grip provided in the Jaguar XJ AWD, well, you have something truly special indeed. Why Buy a Jaguar XJ AWD? The fierce-yet-elegant power that’s emblematic of the Jaguar line is in full force with the Jaguar XJ, but it gets an extra boost of boldness from the addition of AWD. That feature alone alters the feel of the Jaguar XJ in unique and frankly stunning ways, allowing you to tackle the tightest turns in inclement weather or over rough terrain. 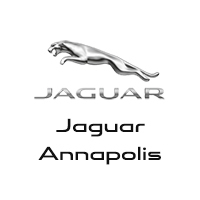 This allows your Jaguar to go places other luxury vehicles fear to tread, expanding your range over leaps and bounds and offering new levels of adventure. So check out a Jaguar XJ AWD, and get ready for the ride of your life.